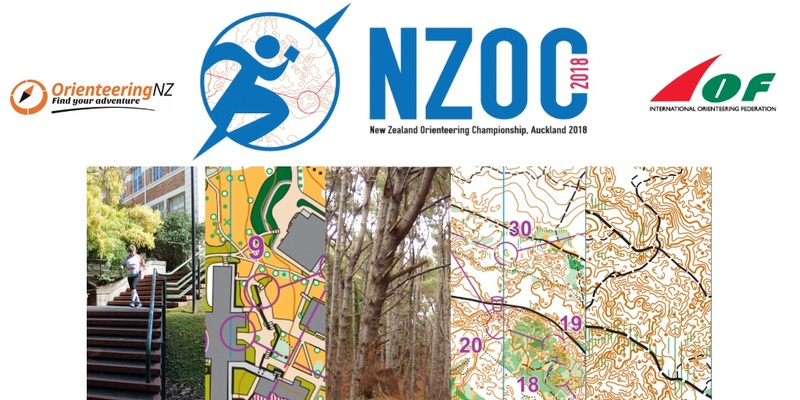 The NZ Orienteering Champs 2018 Bulletin 1 (PDF 512KB) is available to download. Friday 30th March 2018 – Sprint, WRE – University of Auckland – City Campus. First start: 2:00pm. Saturday 31st March 2018 – Long distance, WRE – Woodhill Forest – Hedley Dunes map. First start: 10:30am. Sunday 1st April 2018 – Middle Distance – Woodhill Forest / Temu Rd upper map. First start: 10:00am. Sunday 1st April 2018 – Dinner, prize giving and microsprint – Mt Albert War Memorial Hall, Mt Albert. Auckland. From 4:00pm. Monday 2nd April 2018 – Relay – Woodhill Forest / Temu Rd lower map. Mass Starts from: 9:30am. Late fee entries close Friday 16th March 2018.